“Modern recordings, especially salsa, it feels sterile. 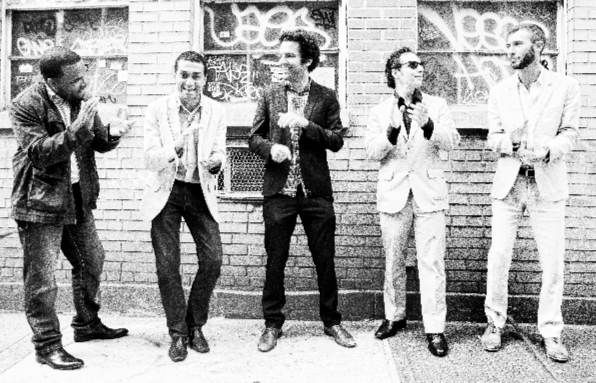 Everything is perfect but in a sort of unnatural way”, says Jacob Plasse, one of the founding members of New York City’s Los Hacheros, explaining that band’s approach to the classic Nyorican-Cuban genre. It all started in the late nineties, when he and other friends began playing with stellar New York musicians, hanging out musically with luminaries such as Abraham Rodriguez to try to learn the art form. Plasse, trained as a jazz guitarist, had seen Chucho Valdes play at the Village Vanguard and was pretty much blown away, and decided to learn as much as he could about Cuban music. With other younger musicians, Plasse reveled in the discovery of a “magical tradition” that was alive and well in the salsa communities of dancers and musicians in New York City, fueled by masterful Cuban and Puerto Rican musicians. At the same time, the older musicians were seeing the music as dying out and they wanted to pass on the knowledge. The Cuban trip ended up bringing Plasse back to the music of New York City. He discovered Ray Barreto and Tito Puente and along the way, he fell in love also with the way the older recordings had happened, and the sound and feel of the Fania records. He is elated about Los Hacheros’ success and their prominence in the city’s dance community. Plasse says that although he doesn’t want to speak too “grandly”, he does feel people flocked to Los Hacheros’ album because in modern salsa, “There’s a bit of the soul that’s been taken out of it”, in part because he believes modern salsa has evolved to the point to where often the singers are the stars, and the band is secondary. Los Hacheros will perform at Old Town’s Square Roots Festival on July 8 at 7:30pm. Check out Catalina’s weekly exploration of the past, present and future of Latino music on Beat Latino.